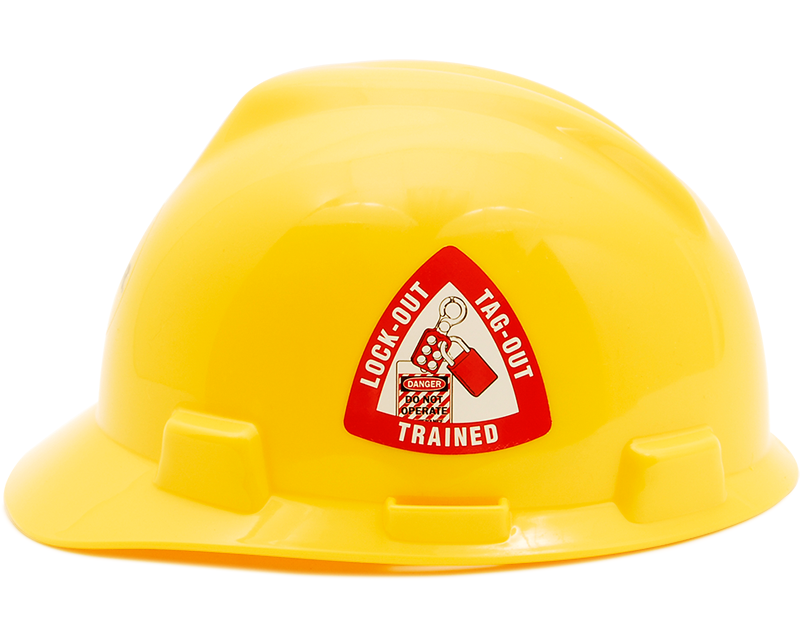 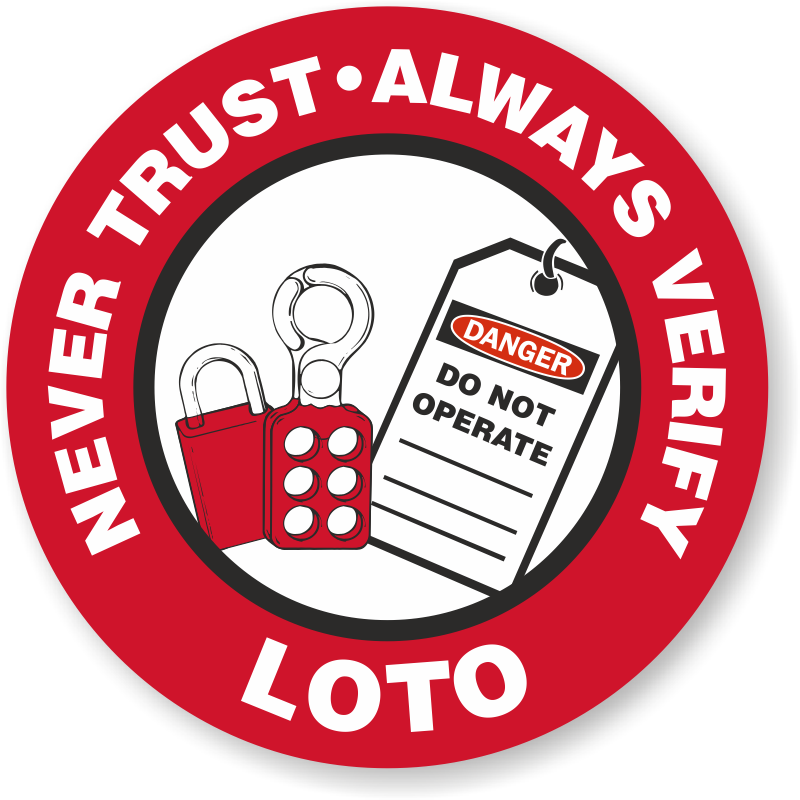 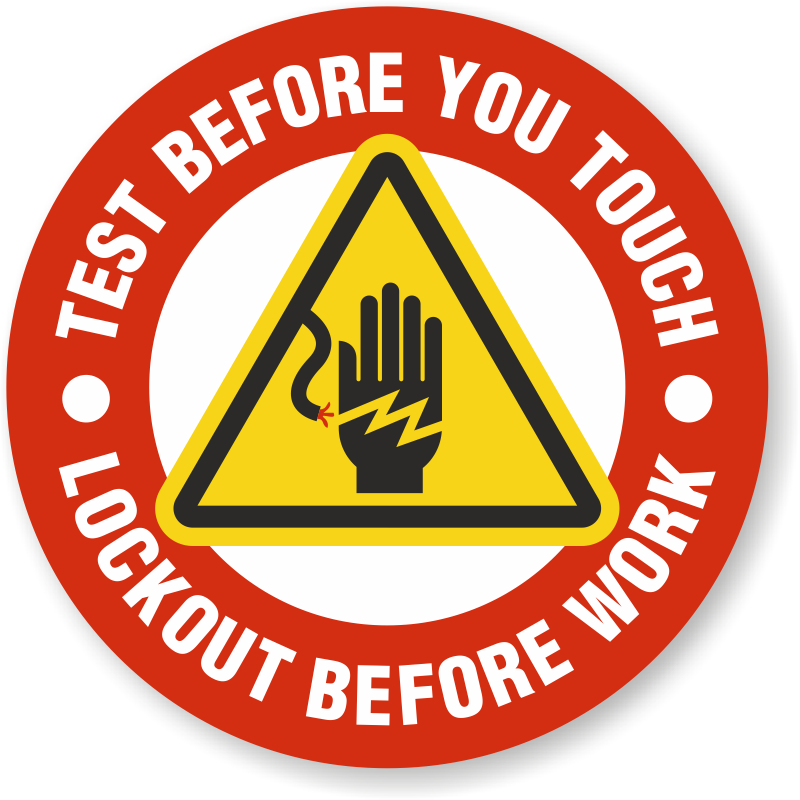 Show certified Lockout Tagout trained employees with a hard hat decal that stands out. With unique die-cut shapes that easily conform to any hard hat, these bold, easy-to-see messages can help you identify trained staff in seconds. • These triangular and circular hard hat labels are ideal for hard hats and resist wrinkling upon application. 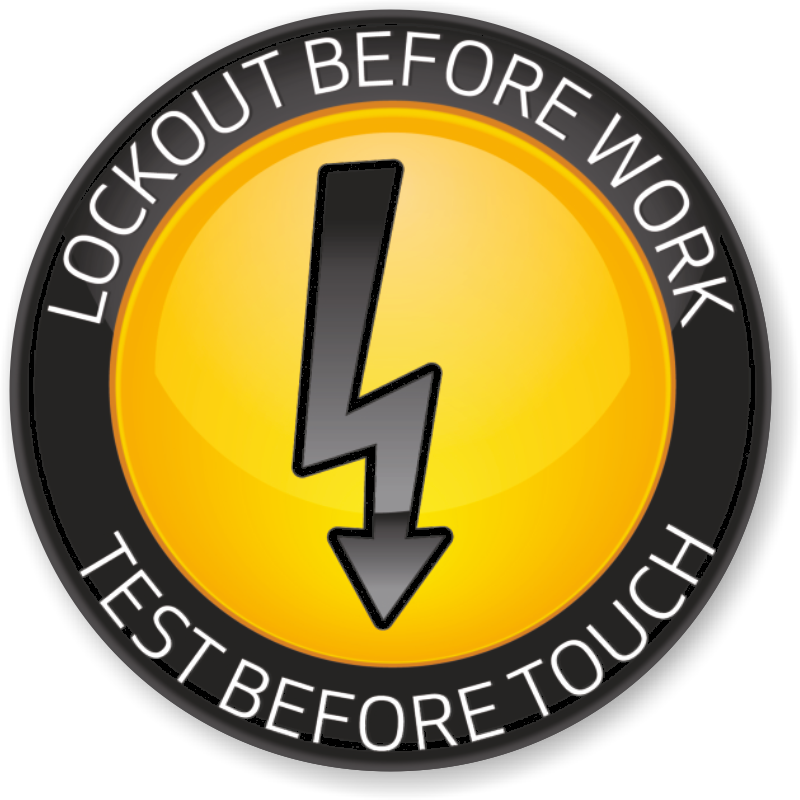 Apply to the side or front of a hard hat. 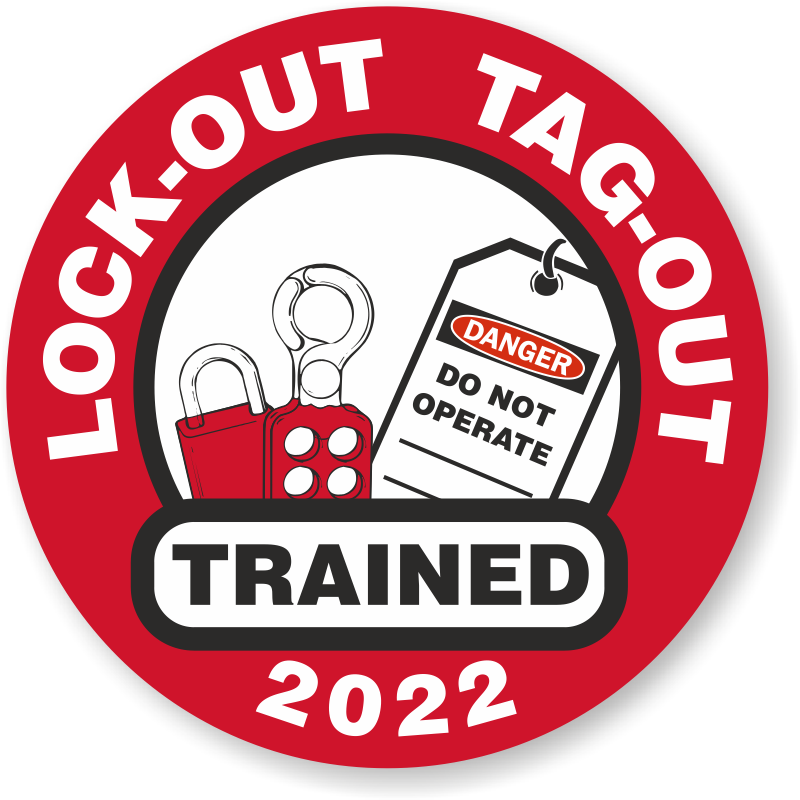 Labels show the year that the Lockout-Tagout training occurred. 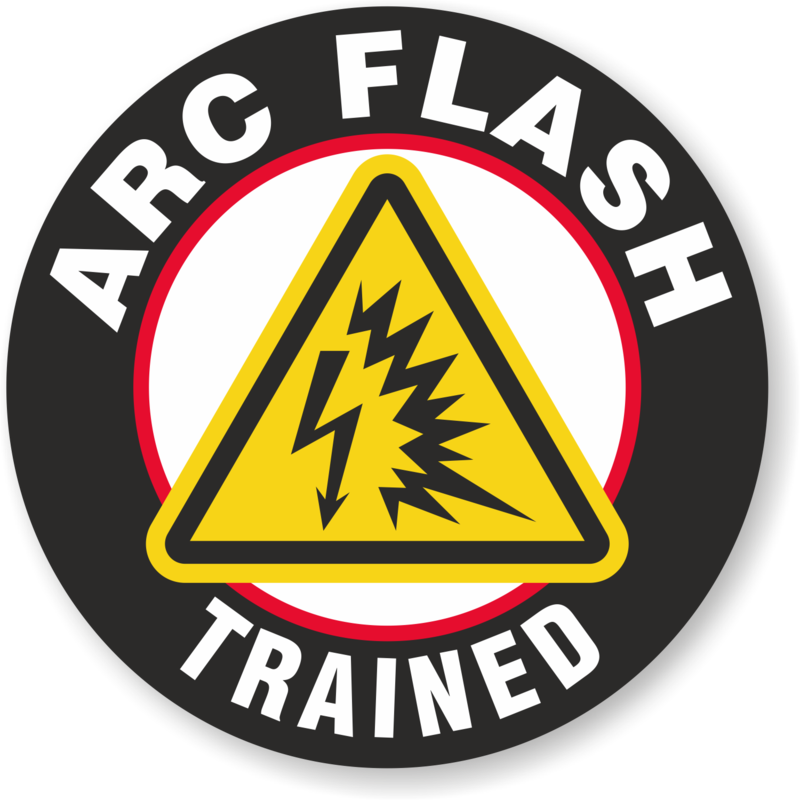 Make sure that your employees have up-to-date certification. 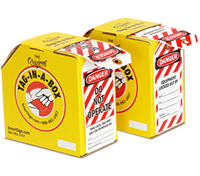 • Convenient dispenser box. 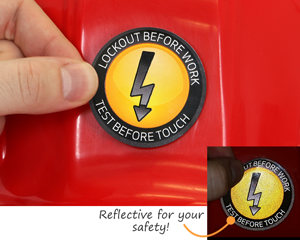 Durable plastic tags with reinforced hole. 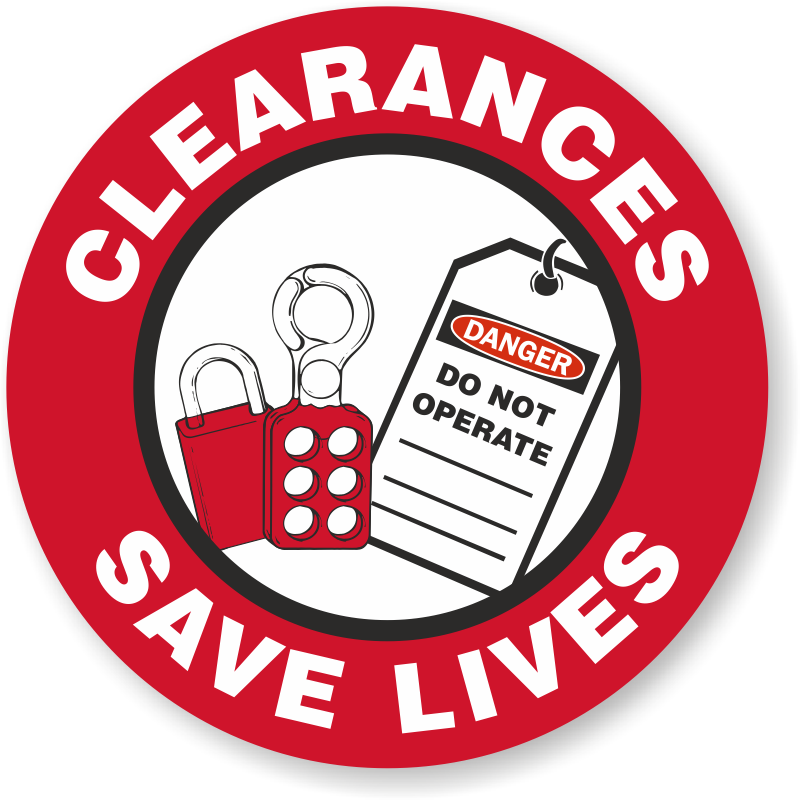 • As low as $69.95 for box of 250 tags. 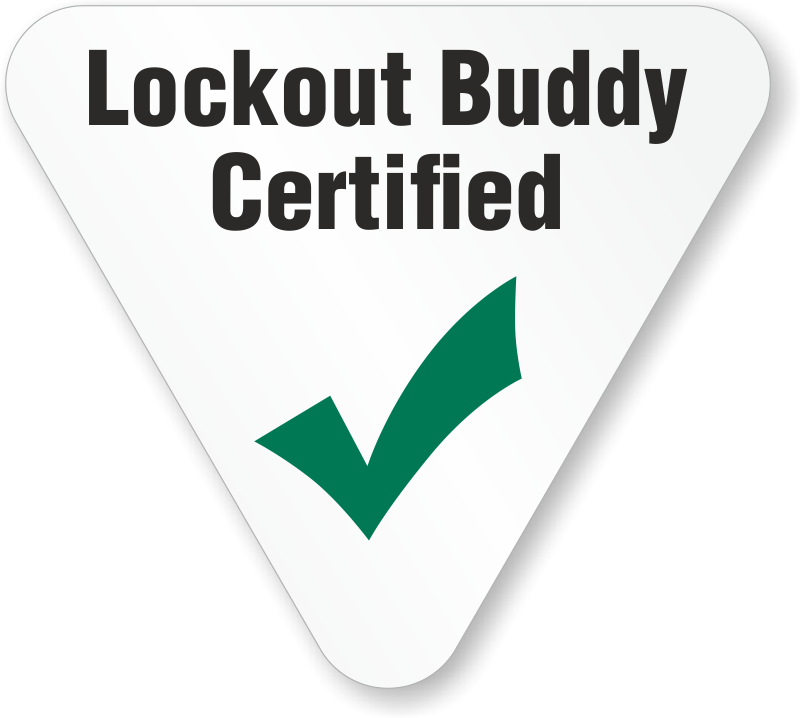 • Put a face on your lockout program. 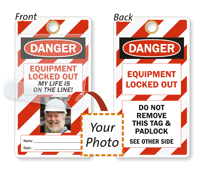 • Add your photo and permanently seal it with the tag’s self-laminating flap.